Summary: We’ve looked at plenty of false — or temporarily not proven — forecasts by American experts about wars and climate. Today we see the opposite, accurate forecasts by an eminent scientist — for which he’s ridiculed. The rule seems to be that political correctness is rewarded, irrespective of accuracy. That’s no way to run a superpower, except on the rocks. We can do better. One of the great oddities of the debate about climate science is the contempt for scientists displayed by the lay cheerleaders on both sides. Scientists are authorities, unless they disagree with the true dogma — then they’re fools and charlatans (as we see in a comment to this post). Previous posts looked at forecasts that have proved false, or not correct so far. Today we look at a speech made 23 years ago by a MIT professor. It looks good today, still accurate despite the advances in climate science. Furthermore his forecast of no warming larger than natural variability during the next century has proven accurate so far — after 23 years have elapsed (see here for the latest of 3 posts about the “pause” in warming). In M.I.T. Tech Talk of 27 September 1989 Eugene F. Mallove describes a presentation by Richard Lindzen (Prof of the Department of Earth, Atmospheric and Planetary Sciences, MIT) to an audience of 250 scientists at the Alexander von Humboldt Foundation Colloquium. See Lindzen’s CV here. “Climate inherently has a natural variability that is often attributed to possible variations in solar output, volcanic dust, etc. The point we have to keep in mind is that without any of this at all our climate would wander — at least within limits. The reason is that we don’t have a closed system. “Water is terrifically absorptive. We see the bumps [in the absorption spectrum] from CO2 and ozone and methane only because they occur in a window of the water vapor absorption spectrum. Water vapor is far and away the most important greenhouse gas, except for one form which isn’t a greenhouse gas: clouds. Clouds themselves as liquid water are as important to the infrared budget as water vapor. Both swamp by orders of magnitude all the others. With CO2 one is talking about three watts per square meter at most, compared to a hundred or more watts per square meter for water. “… Upper level humidity — especially above 5 kilometers — is rather important and the models are lousy at handling this. In the models, most warming comes from the increase in water that accompanies the warming. Whether such an increase in water vapor above 5 kilometers actually accompanies warming is doubtful. “We don’t know how to calculate cloudiness. Some studies have found that the dominant radiative effect of clouds is cooling. Only a few percent change in cloud cover will more than swamp the estimated CO2 effect, he suggested. In the current models, for reasons that puzzle almost everyone, the cloud feedbacks are positive rather than negative. That is, they increase the temperature. As a scientist I want to rip the theory of nuclear winter apart, but as a human being I want to believe it. This is one of the rare instances of a genuine conflict between the demands of science and the demands of humanity. As a scientist, I judge the nuclear winter theory to be a sloppy piece of work, full of gaps and unjustified assumptions. As a human being, I hope fervently that it is right. Here is a real and uncomfortable dilemma. What does a scientist do when science and humanity pull in opposite directions? (a) Freeman Dyson’s views about the climate wars: ”The Question of Global Warming“, The New York Review of Books, 12 June 2008. We estimate climate sensitivity from observations, using the deseasonalized fluctuations in sea surface temperatures (SSTs) and the concurrent fluctuations in the top-of-atmosphere (TOA) outgoing radiation from the ERBE (1985-1999) and CERES (2000- 2008) satellite instruments. Distinct periods of warming and cooling in the SSTs were used to evaluate feedbacks. … We develop a method to distinguish noise in the outgoing radiation as well as radiation changes that are forcing SST changes from those radiation changes that constitute feedbacks to changes in SST. We demonstrate that our new method does moderately well in distinguishing positive from negative feedbacks and in quantifying negative feedbacks. In contrast, we show that simple regression methods used by several existing papers generally exaggerate positive feedbacks and even show positive feedbacks when actual feedbacks are negative. We argue that feedbacks are largely concentrated in the tropics, and the tropical feedbacks can be adjusted to account for their impact on the globe as a whole. Indeed, we show that including all CERES data (not just from the tropics) leads to results similar to what are obtained for the tropics alone — though with more noise. We again find that the outgoing radiation resulting from SST fluctuations exceeds the zero feedback response thus implying negative feedback. In contrast to this, the calculated TOA outgoing radiation fluxes from 11 atmospheric models forced by the observed SST are less than the zero feedback response, consistent with the positive feedbacks that characterize these models. The results imply that the models are exaggerating climate sensitivity. 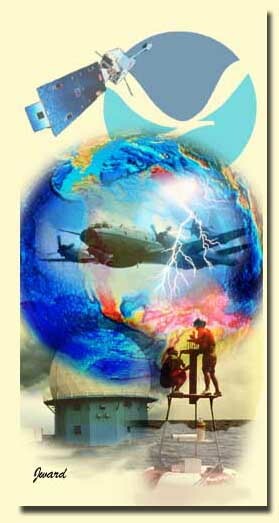 What can climate scientists tell us about the drivers of future warming?, 6 February 2012 — Part one. What can climate scientists tell us about the drivers of future warming?, 10 February 2012 — Part two. Next Post We’ve worked through all 5 stages of grief for the Republic. Now, on to The New America! Don’t care if man is causi g global climate change or not. Just apply Pascal’s Wager (wikipedia) instead of God read Global climate change caused by man. A Game is being played… where heads or tails will turn up. According to reason, you can defend either of the propositions. You must wager. (It’s not optional.) Let us weigh the gain and the loss in wagering that God is. Let us estimate these two chances. If you gain, you gain all; if you lose, you lose nothing. Not every wager is for your immortal soul, which renders Pascal’s Wager quite useless. On several grounds. First, there are many shockwaves, of which climate change is just one. We cannot defend (ie, prevent or fully mitigate) all of them, without certain bankruptcy. They vary in terms of uncertainty (how well we understand the phenomenon), likely magnitude of the impact, probability of happening, and time scale (likely over years, decades, centuries, etc). Each has its hysterical advocates, yelling to spend every dime we have on their cause. Also, these go in and out of favor over time. It’s necessary for rational planning to have some framework against which to access them and allocate available funds. Second, funds spent on hypothetical dangers divert resources of certain and immanent dangers. Such as the ongoing collapse of the world’s fisheries, chemical pollution, and others. You might consider allowing the world’s ruin to prevent your favorite shockwave, but most of us have wider perspectives. Third, Pascal’s Wager is itself only one possible value. Machiavelli said that the world was ruined because rulers put the fate of their souls over the welfare of their nations — and that a better world required greater attention to worldly matters than eternal ones. Time has given his prescription greater force as more people realize that those spiritual certainties — for which so many lives were wasted or destroyed — were not so certain after all. And so it might prove to be for global warming. Not sure I have an immortal soul. If I was sure I wouldn’t worry about man causing global climate change. So I’ll rephrase to make risk reward more central. If global climate change is man made and we do nothing to change our ways we might face the end of civilization as we know it. If on the other hand it is not caused by man we lose nothing and possibly gain by switching to renewables, reducing pollution and use of fossil fuels. I don’t accept your economics and am not convinced that taking steps to reduce global climate change is unaffordable. What is unaffordable is our total neglect of our infrastructure. While I am not up on either the science or scientists I don’t think they caused the flooding of New York’s Subway system with faulty predictions. Although I do understand it will cost a lot to protect the City’s coastal areas. Maybe the money would be better spent moving the population inland. More importantly the Global Warming deniers are controlling both the discussion and policy decision process and despite the media rhetoric you are decrying nothing is changing except the weather. (1) Some of your comment is not correct. Strawman rebuttal. I didn’t say that it was. Does anybody say that? Please cite a statement by an influential “global warming denier” that controls “the discussion and policy decision process”. While there are some people who deny that the world has been warming for centuries (there are many people with fringe beliefs, like astrology), I don’t see that they have any significant influence in the news media or Washington. (2) Some of this makes little sense to me. The weather is always changing. That’s a basic of both history and science. After years of propaganda, many people no longer know this. Even if it were possible to replace fossil fuels with renewables (which it’s probably not with current technology, without wrecking the economy), the question is timing. The more rapid the pace, the greater the cost. Doing so in the natural course of life (ie, through replacement of existing infrastructure) would take generations. That would put us on the high track of CO2 emissions. Hurricanes are not becoming more common or more severe. For decades scientists have warned about NYC’s vulnerability to storms. The damage would be massive if one of the bad storms of the 20th century were to repeat. Sandy was a mild storm, occurring at a bad time of the month. For details see this post. I am not as up on any of this as you are but would be interested to see a list of policy changes brought about by those claiming global warming is man made. While not scientific by any means my impression is that it is still the other way including such things as Fraking, coal mining, offshore oil drilling, probably the Keystone pipeline which rumor has it is going forward and Fukishama type nuclear generators being built in the US. I do know about hybrid cars, wind and solar but haven’t seen that they pose a risk to fossil fuels. Admittedly I am subject to limited sources of information because I do agree with your perception of the media. Those who claimed Saddam had weapons of mass destruction are still advising us and showing up on TV as are those who missed the economic meltdown. Whereas those claimed ere were no WMD or who predicted the economic meltdown are still being ignored. Last, this sentence totally invalids the relevance of Pascal’s Wager to public policy about global warming. Public policy actions to address global warming will cost trillions, whether in direct action (diverting resources) or indirect costs of regulation. For more information about looking at action to address shockwaves: We are so vulnerable to so many things. What is the best response?, 30 December 2008. Always wrong Lindzen: “Lindzen Illusion #7: The Anti-Galileo“, Skeptical Science, Dana Nuccitelli, 13 May 2011. Talk about a contempt for science. FM Note: Per the SS website, Nuccitelli is an environmental scientist at a private environmental consulting firm in the Sacramento, California area. He has a Master’s Degree in physics from the University of California at Davis. No publications, no research listed. “boss” raises an interesting question, one I’ve often wondered about. Consider Prof Lindzen’s CV. MIT professor, a long list of professional honors, 235 major papers over five decades. A reasonable person can disagree with Lindzen’s professional opinions; that’s what drives science. Crank: a person who holds an unshakable belief that most of his contemporaries consider to be false, one so wildly at variance with those commonly held as to be ludicrous. Cranks characteristically dismiss all evidence or arguments which contradict their own unconventional beliefs, making rational debate a futile task, and rendering them impervious to facts, evidence, and rational inference. I fixed the link to Lindzen’s CV in the comment. There’s an interesting new debate developing that underscores the complexity of the feedback loops, both in terms of the climate and in terms of human reaction to new facts. Over the weekend the Wall Street Journal published an article indicating that vegetation has been growing more rapidly as the CO2 rises. This both makes sense and fits with my personal observations of the southern U. S. forests (understanding that personal observation from a limited data-set is not good science from a global perspective). This morning the following piece (“On CO2, Murdoch misses forest for the trees“, The Age) appeared in Australia indicating that the effects of vegetative greening are offset by increases in atmospheric CO2, ergo Mr. Murdoch, who tweeted the article, had overreached by pointing out this piece of the scientific puzzle. Sounds like both authors are more interested in how the data affects their per-conceived assumptions than in the data itself. Does Dr. Lindzen’s analysis indicate that both atmospheric CO2 and the vegetation growth are de minimis when compared with atmospheric moisture levels? Does the atmosphere impact those levels? You are right in your frequently stated opinion that this is a hugely complex issue that deserves far more investment in objective research to build a comprehensive model that incorporates/accommodates all the inputs as they develop. With that sort of data in hand it would be possible to generate the sort of cost benefit analyses that Mr. Reagan applied in banning CFCs in the 1980s (“Climate Change: Lessons From Ronald Reagan“, Cass R. Sunstein, op-ed in the New York Times, 10 November 2012) assuming, of course, that the data actually shows a net economic gain from greenhouse gas reduction. In the meantime, as the NY Times points out, it may make sense to consider individual actions, such as more energy efficient appliances and increased vehicle efficiency, if the data shows net savings as a result of energy independence, reduced expenditures for fossil fuel due to reduced energy uses and potential reduction in defense expenditures as a result of reduced dependence on the middle east for oil. You raise a host of interesting issues! All over my pay grade, but I’ll attempt to at least put them in a larger context. Perhaps some knowledgable reader can point to some relevant articles. (1) Land use changes are an important factor affective climate, especially on a regional level. (2) CO2 fertilization — more rapid plant growth as CO2 increeases is a real effect. However it is probably not a substantial effect (ie, producing benefits that offset the adverse effects of rising co2) because of Liebig’s Law of the Minimum (Wikipedia). Growth is limited by the necessary requirements in least supply, and that’s seldom CO2. More commonly it is nitrogen, water, etc. Here’s a post at RealClimate explaining this (note: they’re not experts in this either). Diversifying our enery sources would be nice. But when done on a large scale people probably will object when their electricity bills rise as a result, as is happening in England (I believe this is correct from casual reading of the news; corrections appreciated). Thanks for the reminder about Reagan’s comments. This touches on a powerful example of the news media’s power and inaccuracy. They develop characterizations for US Presidents & VPs, which becomes “fact” for Americans through intensive indoctrination. Kennedy was a sportsman and family man. Ford was a clumsy klutz. Dan Quayle was dumb. Reagan was a fool. It’s astonishing how consistently wrong these are. Backwards, even. Kennedy was a near-cripple, sustained by a diet of powerful drugs. And no “family man”. Ford was in excellent shape for his age and occupation, and was quite athletic when younger. Quayle was bright, taking positions ahead of his time (the kind of heterdox thinking the news media often attacks). Such as his advocacy for the Patroit missile, and his “Murphy Brown” speech in May 1992 about the effects of so many children being raised by single mothers (I think this will look even more prescient a century from now). Appeal to Authority, except the vast majority of Authorities that disagree with you. And crank? This blog is filled with a never ending drone about how the vast majority of scientists and media are engaged in a vast, world-wide conspiracy to mislead billions of sheeple like me while you truthers cling to Lindzen and Mockton. One paragraph I’m a conventional sheeple, next I’m an unconventional outlier. Perhaps you should work on an understanding of the basic english terms you use before moving to anything higher order. I guess it’s time for one of those egomaniacal “Ask Fabius” posts. Try finding a scientist to support your claim that Lindzen is “always wrong.” Nobody gets to his position if “always wrong”. It’s a crank claim. False. There is nothing in the posts on this website saying such a thing. 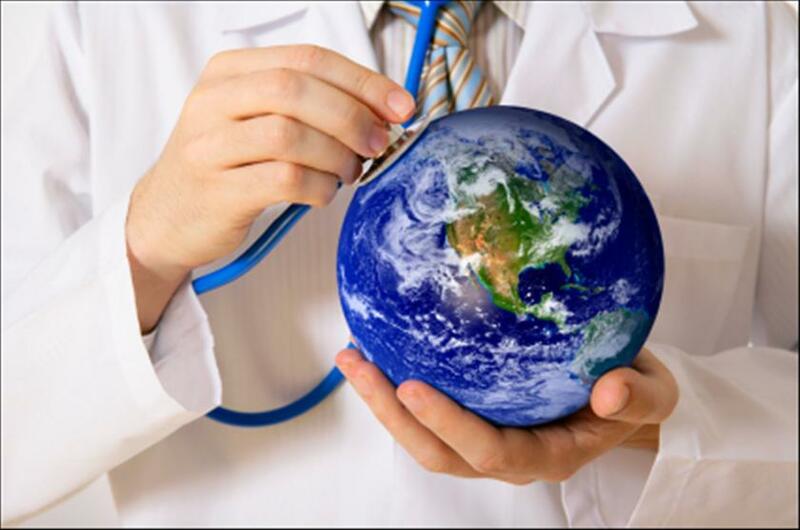 They state the exact opposite, citing a wide range of scientists — including those from the major climate-related organizations (eg, NASA, NOAA, CRU, IPCC). Cranks are often distinguished by the lies they give to support their views. “Truthers”? I have never said anything about a conspiracy about 9-11, let alone anything climate related. Is your rebuttal to consist entirely of lies? Lindzen is cited appropriately as a climate scientist, speaking about matters on which he has many publications in the peer-reviewed literature. The only support you give is a guy writing on a blog. Mockton is cited here for his views about public policy matters, not as a scientist. It’s called news media bias, a well-established phenomenon, intensely studied by experts in several fields (including both journalists and social scientists). No conspiracy required. Professions, indeed all social groups, tend to develop biases. Those of journalists are of special import because of the profession’s influence shaping public opinion — which although less than in the past, remains powerful. Understanding these biases, and overcoming (or shaping) them, is a vital component of any public policy discussion. I applaud the shaking of the cages. While Lindzen is profoundly intelligent, thoughtful, experienced, and wise, his critics will always nip at his heels as long as there is some perceived benefit. In the case of CAGW, the benefit grows into the $trillions over a fairly short period of time, if you read the IPCC prescriptive blueprint. Yes. However, making these kind of estimates is problematic on many levels. There is no agree upon methodology, history shows a VERY high failure rate for these kind of public projects (mostly for much simpler kinds of projects — like canals and dams), and it does not show us the likelihood of the calculations being correct (that would be interesting to see). Thanks for raising this important issue. I did not correctly remember the IPCC analysis (a summary of the studies looking at mitigation costs). The 2007 IPCC report (AR4) summary looked at GDP impacts for various co2 levels in 2030 and 2050. 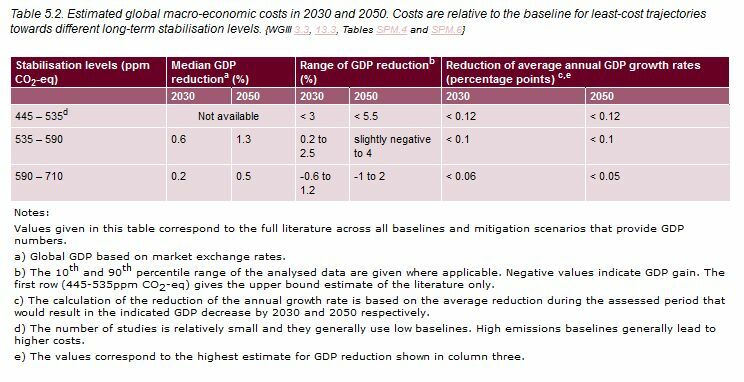 Table 5.2 shows very tiny ranges of GDP reductions. For the lowest co2 levels (445-435 parts per million), they estimate GDP to be <3% lower in 2030, and <5% lower in 2050. These are annual GDP loses of .001 or less (0.1%). BUT these are dependent on assumptions about things we can only guess at. Most importantly, on "innovation to deliver currently non-commercial technologies". That's a large uncertainty, typical of these kinds of long-term forecasts (probably unavoidable), and one reason for their unreliablity. If you are interested, I will post links to IPCC about this. Here is the data answering your question. This post has convinced me. I’ve been wondering about this for some time, but you’ve helped me to finally make up my mind. ‘Boss’ is right: You guys ARE essentially a bunch of cranks. More literate than most cranks, more polished, but I just can’t ignore any longer the essential crank traits — endless special pleading for your own arguments and sources, haughty disdain for the plebs who aren’t in the know and just refuse to get it. And — weirdly — you seem to sincerely believe that you’re on some kind of crusade to enlighten those same plebs. So to begin….. I’d never heard of Lindzen before, and I don’t really have a dog in this fight. Climate change is a tremendously complicated subject. The risks of inaction could be dire. The costs of wrong action could be immense. It’s hard to come to simple binary conclusions. My neural alarms started going off when you cited a Lindzen speech from **1989**. There’s been a **little** progress in data acquisition and computational resources and modeling technique between then and now, no? This almost seems like quoting Orville Wright about jet airliner design issues. So it sounds like on at least this occasion Lindzen was sloppy. The comments seem to be a big raging debate about whether he was intentionally trying to obfuscate and misrepresent. I wouldn’t pretend to know, but I doubt I’d prop him up as some kind of iconoclastic seer. Most of all I merely wish to point out that this episode demonstrates a kind of special pleading that you guys indulge in a lot. You ARE invoking an appeal to authority argument, yet there are very good reasons to question the authority you cite — namely, the arguments of other well-credentialed authorities! Thank you for your clear rebuttal. However, you appear to be unclear about this post — and important aspects of how science works. I don’t have time for more than a brief note; so please advise if you would like additional information. (1) Why look at a speech from 1989? Not for information about the current state of climate science, for the reasons you clearly state! This is a series looking at forecasts given the general public (outside the literature) about climate. Since climate changes so slowly, useful results can be seen only by looking at forecasts a decade or two ago. As a secondary goal, we can see how much climate science has progressed. While much data has been accumulated and insights gained, scientists still grapple with many of the same big questions. We can see this in Lindzen’s speech, as most of the questions he posed are still subjects of active debate in the peer-reviewed literature. This is a commonly misunderstood aspect of science, seen in public debates about (for example) economics and climate. Science is about debate on issues on the frontiers of known data and theory. Hence often resolved by new observational technology or paradigms. Disagreement drives the process, somewhat as competition drives capitalism. I cite scientists to illustrate the current frontier of knowledge, an essential to make public policy (which is the subject of interest here). On that frontier experts will, by definition, disagree. Who is right? Again, by definition, neither you, I, or they know. So citing experts, like those at RealClimate, who disagree with Lindzen (and others) tells us only that we are at or near the frontier. The lay cheerleaders in climate (and other sciences) adopt teams. Those scientists are frauds; ours are great. That’s fun, but destructive when considering large public policy measures. At what point is there sufficient evidence for public policy action? Every person must decide that for themselves. In my posts about shockwaves I give some recommendations. The most important are to fund research, and consider all shockwave funding on an integrated basis . It’s a budgeting problem: many needs, limited funds. That doesn’t make the decisions easy, but gives us a framework for discussion. But do you really believe any of our so called leaders would fund real research and involve the public in a real discussion without stacking the deck without a preconceived outcome . You raise an important point. I will leave that kind of political estimate to people with expertise in US politics (almost everything from Washington is a surprise to me). As for Robb,he’s a sharp thinker (his work has been frequently cited here). Thanks for the pointer; I will check it out! (a) The speech itself is not referenced: the link to the M.I.T. Tech Talk points to a page where publications go back to 2004 only; searches for “Lindzen”, “1989”, “Eugene Mallove” do not return the cited speech; the search engine anyway only allows to search from 1992 onwards. (b) The citation is actually a _secondary source_: “Eugene F. Mallove describes a presentation” — for all we know, this is not a faithful transcript, but only what Mallove retained and understood from the speech. (c) Mallove himself was a controversial figure, enthusiastic about fringe aspects of science — he had much touted “cold fusion”, for instance. Regarding the statements presented in the FM post, only somebody well-versed in atmospheric/climate science could determine how the supposed effects of clouds/vapor/water/sun/etc have been taken into account in newer models, and whether the effects assumed by Lindzen were eventually confirmed or not. The words “I feel”, “seem”, and “could” appear repeatedly, and as sglover suggests, they are more indicative of the level of knowledge in 1989 than the current state of the science. Could anybody link to a recent scientific article addressing the issues raised by Lindzen in 1989? a) Lindzen would be dead before being proven wrong or right anyway. b) Climate scientists have been computing forecasts for the short term — i.e. measured in years or decades. Stating that nothing major will be detectable within 100 years confirms the bias of those (numerous) persons who believe that climate change is nothing major and that nothing should be done, so let us just make some more research and see how things go in 100 years — whereas producing continuous forecasts from the short-term to long-term should force people to confront the evolution and take decisions now. c) If skeptics are doing it right and changes should be considered over 100 years, then one simply cannot take much shorter term observations and derive from them that the 100-year forecast is right (i.e. “there has been minimal temperature change overall from 1998 till 2010, so we are right to predict that temperature will not change over 100 years”). Overall: this Lindzen speech is an unusually weak source for a post by FM. This is a waste of time, and one of the last comments on the FM website. And fittingly so. I think that “guest” means that the full text is not available. Quite a weird objection. Guest must have a problem reading the newspaper; there are no hyperlinks in the New York Times. This is a widely cited speech. Lindzen has had ample opportunity to object to any errors by the reporter in the text. Lindzen has made similar points repeatedly since then. See the transcript of his testimony to Congress (there is a link in the post). Nope. That’s why we have the IPCC, to explain climate science to policy-makers. I’ll give just one example, since this is a waste of time (the sun will burn out before guest changes her mind): clouds. The IPCC’s most recent work is the second order draft of the Fifth Assessment Report. Se Chapter 7: Clouds and Aerosols. “Likely is used when there remains dispute in the literature. The net radiative feedback due to all cloud types is likely (>66% chance) positive, although a negative feedback (damping global climate changes) is still possible. We assign a very likely range of −0.2 to 1.4 W 8 m–2 K–1 for the cloud feedback parameter. This conclusion is reached by considering a plausible range for unknown contributions by processes yet to be accounted for, in addition to those occurring in current climate models. The cloud feedback remains the most uncertain radiative feedback in climate models. Observations alone do not currently provide a robust, direct constraint, but multiple lines of evidence now indicate positive feedback contributions from changes in both the height of high clouds and the horizontal distribution of clouds. Additional feedback from low cloud amount is also positive in most climate models, but that result is not well understood, nor effectively constrained by observations, so confidence in it is low. Duh. What year’s climate science would a speech in 1989 reflect? Does guest know many time-travelers? Guest obviously didn’t read the comments, where I explain the point of this. Also, in my experience top-level experts often speak in this fashion. They emphasize uncertainties, and limitations on our knowledge. On the other hand, excessive certainty and large claims are typical of quacks. These are both generalizations, and cannot be reliably applied to individuals. All of these issues are discussed clearly in the IPCC’s AR5. Such statements are fantastically rare. Even the IPCC doesn’t do them (see this explanation in Nature). (6) “Regarding the only prediction cited — “the likelihood over the next century…” — I notice that Lindzen would be dead before being proven wrong or right anyway. Quite common in the climate sciences. Since these are long-term trends, the current trend can be roughly compared to the forecast trend — to see how well the forecast is tracking actual data. False. History has always been shaped by climate change, and will continue to be so. He’s referring to anthropogenic climate change. Reading FAIL. A dumb reading FAIL. Yes, I think most sentient beings understand that’s a good idea. That you believe Lindzen disagrees shows that you are hopelessly biased. There has been no statistically significant warming during the (aprox) last 15 years, after aprox 50 years of largely anthropogenic warming. It’s not clear to everybody that this — or the current state of the climate models — provides a sufficient basis for large-scale policy action. Too dumb to comment on. This is the “stupid strawman” defense so loved by warmistas. Make up a stupid statement, then give a rebuttal. QED! I believe a more rational conclusion is that answering comments like those by “guest” and “boss” is a waste of time. Moderation would fix the problem, but I’m not going to do it.